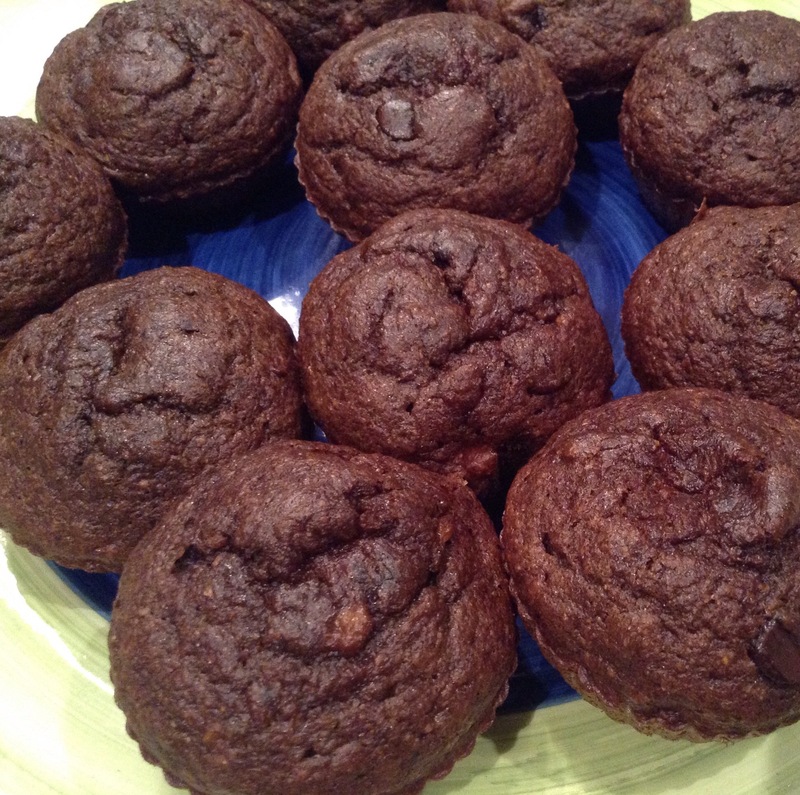 Muffins make me happy, especially chocolate muffins. These muffins get their sweetness mainly from bananas with little sugar needed. Pre-heat oven to 350 degrees. Line and spray muffin tray. In a bowl mix sugar and oil together. Add mashed bananas, apple sauce, vanilla, water and eggs. Mix until blended. In a separate bowl mix flour, cocoa, flaxseed, baking soda, salt. Add wet ingredients to dry ingredients. Add chocolate chips and scoop into muffin cups. Bake for 15 minutes. Let cool for 5 minutes. Enjoy!